The Golden Visa Portugal offers non-EU residents the opportunity to obtain residency of this Southern European country. Aimed at attracting foreign investment in Portugal, the Golden Visa is a straightforward, flexible programme with transparent requirements. With reduced minimum stay too, Portugal’s Golden Visa is one of the most attractive residency programmes in the world. Why is Portugal so popular? Portugal offers high standards of living, it’s one of the safest countries in the world, and it has an advanced economy. This makes Portugal one of the most sough-after destinations for people wanting second passports for their families. You’ll have to be able to meet certain requirements whichever route you choose. In the case of property and capital investments, the main criteria would be financial. The job creation route requires that you create at least 10 jobs. Anyone who’s visited Portugal can tell you that it’s a beautiful country. The people are friendly, summers are balmy, the beaches are unspoiled, and cities are packed with historic interests. 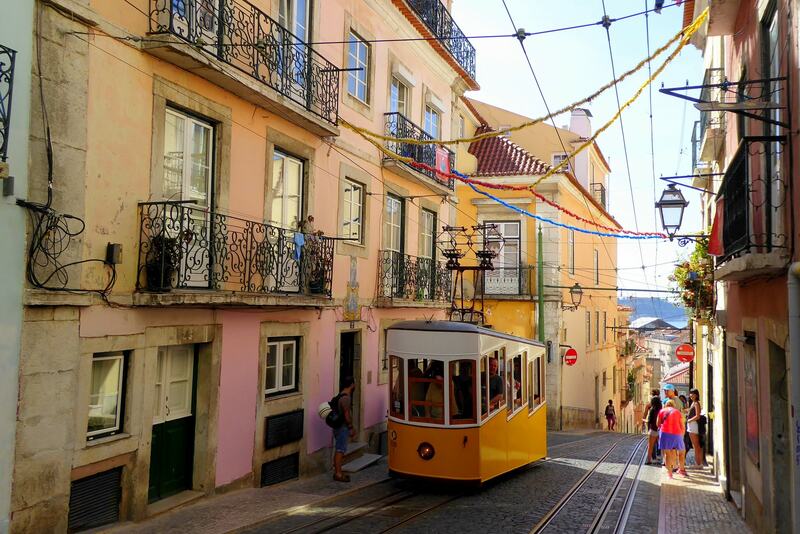 The capital is Lisbon, which is a lively city situated on the banks of the Taugus River. It has a vibrant nightlife, offers ample opportunity for shopping and the city’s trademarks are its cobblestone streets and yellow trams. In the north lies Porto, Portugal’s second biggest city. 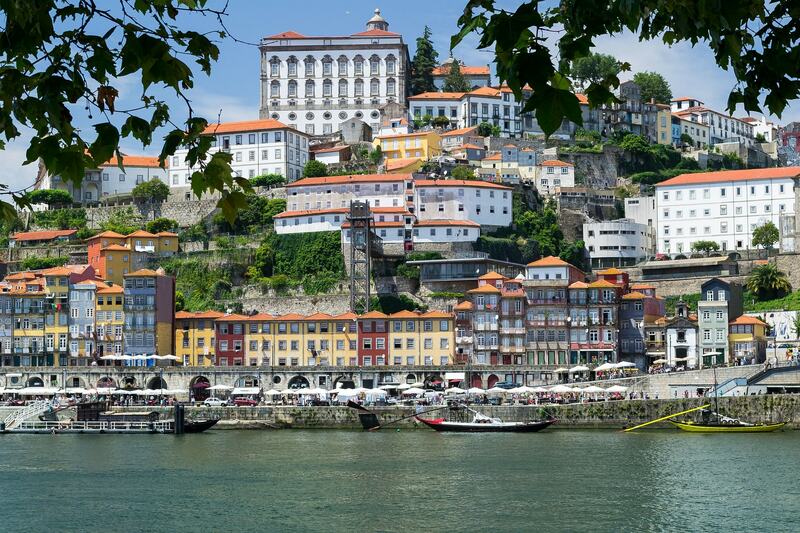 Porto has lent its name to the famous wine and to Portugal. It’s a popular tourist destination with a bustling waterside strip. The Dom Louis Bridge in the Ribeira district is instantly recognizable and connects Porto with its neighbor Vila Nova de Gaia. The main cultural activity in both cities and across Portugal? You’ll find it to be spending hours in cafes, sipping on coffee and nibbling on pastéis de nata, a national treasure. 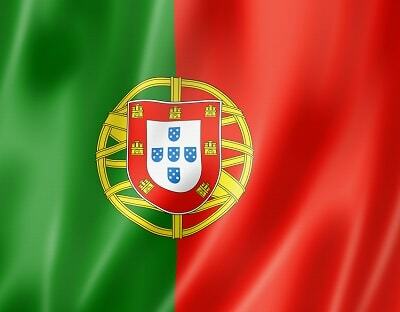 Portugal’s official language is Portuguese, but many Portuguese nationals have a good command of English. You’ll also find that many Portuguese will be able to understand South American Spanish. 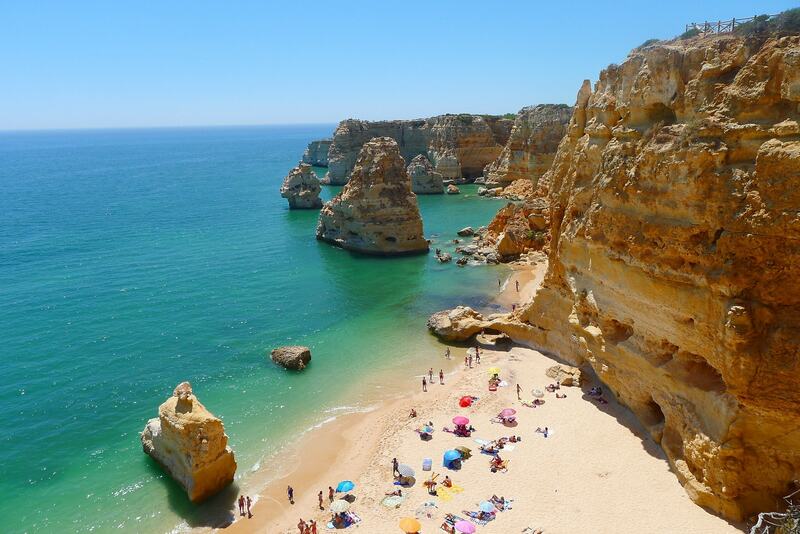 Portugal is one of the warmest European countries with around 2500 to 3200 hours of sunshine each year. The annual average temperatures range between 8 to 12˚C in the mountainous interior north, and between 16 – 18˚C in the south. In some areas, such as the Guadiana river basin in the south, average annual temperatures rise to 28˚C. With that said, it is not unusual for the Guadiana river basin to reach temperatures of around 40˚C in summer. Snowfall occur regularly in winter in the interior north and centre of the country, particularly on the mountains, with temperatures dropping to below zero. Rain is not uncommon either with annual average rainfalls of about 3200mm in the northern mountains, but less than 300mm in central and north-eastern Portugal. From pre-school to higher education, Portuguese parents can opt for either a public school or a private school. Pre-school is optional, but going to school from the ages of 6 to at least 15 is compulsory. Public or state schools in Portugal are free. While some teachers can speak English, the curriculum is taught in Portuguese. Therefore you’ll have to explore solutions to overcome to the language barrier should you enroll your child in a public school. There are many private and international English-speaking schools in Portugal, but most are in the Greater Lisbon area and the Algarve. Private schools generally have smaller classes, more extra-curricular activities and more modern facilities. Some of these schools also have boarding options. International schools offer a variety of subjects. Most uphold high standard of education, but tuition and fees can be expensive. Higher education institutions in Portugal are divided into polytechnics, which provide profession-based training, and universities. Both universities and polytechnics can either be a public or a private institution. Portugal’s largest university is the University of Lisbon with over 47000 students and 18 faculties. The University of Porto is Portugal’s second largest university, with over 31000 students. Despite being the smaller of the two, the University of Porto is considered the best university in Portugal and the country’s leading research university. Access to public healthcare is free to children under the age of 18 and people older than 65. All other legal residents can access public healthcare at low rates. Basic services can be found in rural areas, while larger cities provide specialized services and care. Private healthcare in Portugal is expensive but the best option for those who can afford it. Facilities are becoming more readily available in urban areas, which are usually just a short drive away from most rural zones. You’ll find that most doctors can communicate in English, in both private and public healthcare facilities. Areas with large expat populations, like Lisbon and the Algarve, naturally have more bilingual employees. Healthcare professionals like nurses and technicians may be less fluent in English in rural parts of Portugal. Portugal’s economy is growing at the fastest rate since 2000. Real GDP increased by 2.7% in 2017, compared with 1.5% in 2016. This growth is attributed to domestic demand as well as an economic growth spurt across the continent. This upward curve is expected to continue in 2018, with growth supported by the thriving tourism sector as well as the ongoing recovery in the labour market which is underpinned by robust employment growth. The national currency in Portugal is the Euro. It’s easy to get around in Portugal. The country has a world-class metro system, reliable bus networks, and an extensive railway network connecting all important regions of the country. Public transport is generally affordable and reliable, making it a feasible alternative to driving, especially in Lisbon and Porto. Taxis are also widely available, as are trams in Lisbon. This route of the Golden Visa Portugal provide for persons of impeccable standing and repute to receive Portuguese residency on the basis of investing in property in Portugal. Suitable for: Individuals who are looking for second citizenships for themselves and their families, but who are also looking for opportunities that’ll yield good returns. Validity period: It is an immediate visa for 5 years, renewable after 1 year as well as the subsequent 2 years. Purchase of one or multiple properties. Freedom to use, rent or lease. For properties more than 30 years old or located in areas of urban regeneration. This value includes not only the property but also the investment in the refurbishment works. Freedom to use, rent for commercial or agricultural purposes. The investment of EUR500,000 must be free of charges and encumbrances. You must have a land registry certificate showing the complete ownership of the property or properties. If the investment is made in a Low Density Urban area, i.e. areas with less than 100 in habitants per square metre, the investment amount may be reduced by 20%. This route provide for affluent persons of impeccable standing and repute to receive Portuguese residency on the basis of a contribution to and investment in Portugal. Suitable for: Individuals who are looking for second citizenships for themselves and their families. Funds transferred from abroad to a bank in Portugal. Total freedom to invest the funds. Possibility of using the funds to invest in a share of companies. 2. Transfer of funds of at least EUR350,000 applied to research activities carried out by entities which are part of the national scientific and technological system. To be used in research activities conducted by public or private scientific research institutions involved in the national scientific or technologic system. 3. Transfer of funds of at least EUR250,000 applied to investment or support to artistic production or recovery or maintenance of the national cultural heritage. Investing in artistic output or supporting the arts, for reconstruction or refurbishment of the national heritage. 4. Transfer of funds of at least EUR500,000 for acquisition of participation units investment funds or capital investment companies for capitalization of small and medium size companies. Investment used for purchasing shares in investment funds or in venture capital. This Golden Visa Portugal route provide for persons of impeccable standing and repute to receive Portuguese residency on the basis of a creating jobs in Portugal. Suitable for: Individuals who are looking for second citizenships for themselves and their families, and who are interested in establishing a business in Portugal. Creation of a company and a minimum of 10 jobs. No limitation on areas or activities. Compliance with Social Security obligations. Possibility of grants, incentives and/or benefits. The investment amount may be reduced by 20% (8 employees) where the investment is made in low density population areas. Residence in a European country, with stability, safety and superb quality of life. It removes the need for a visa to enter Portugal or travel through the 26 countries in the Schengen Area. You can live and work in Portugal, even with residency in another country. Parents (over the age of 66 and dependent on the main applicant). Extremely low minimum stay periods – an average of 7 days per year, for the entire 5 year period. Permanent residency after 5 years, provided the requirements have been met. Citizenship after 6 years, provided certain criteria have been met. You are in a period where you have been banned entry into the Portuguese territory following a removal measure of the country. You’ve been convicted of a crime punishable with a prison sentence of more than one year. On the grounds of public health (this may only be based on diseases that have been defined by the World Health Organisation or other infectious or parasitic contagious diseases which are the object of protection measures in Portuguese territory. On the grounds of public order or public security. You have not maintained the investment for the minimum period of 5 years. You have not complied with the minimum periods of stay in Portugal. No criminal record in Portugal or in the countries you have lived in the last year. You have not illegally entered or stayed in Portugal. Health insurance with a company operating in Portugal. You pay the taxes and costs for the residency process. The funds for investment must come from abroad. You must visit Portugal for at least 7 days in the first year of residence and 14 days during the following 2 years (for renewals). You must keep the investment for a minimum of five years.